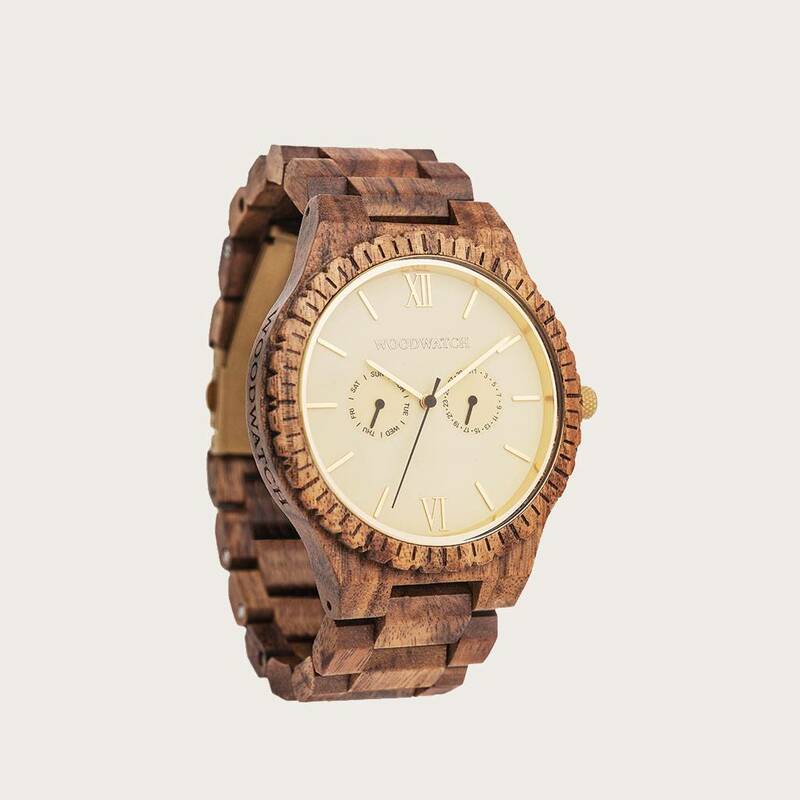 This premium designed watch combines unique new handcrafted wood types with luxurious stainless steel dials and backplates. 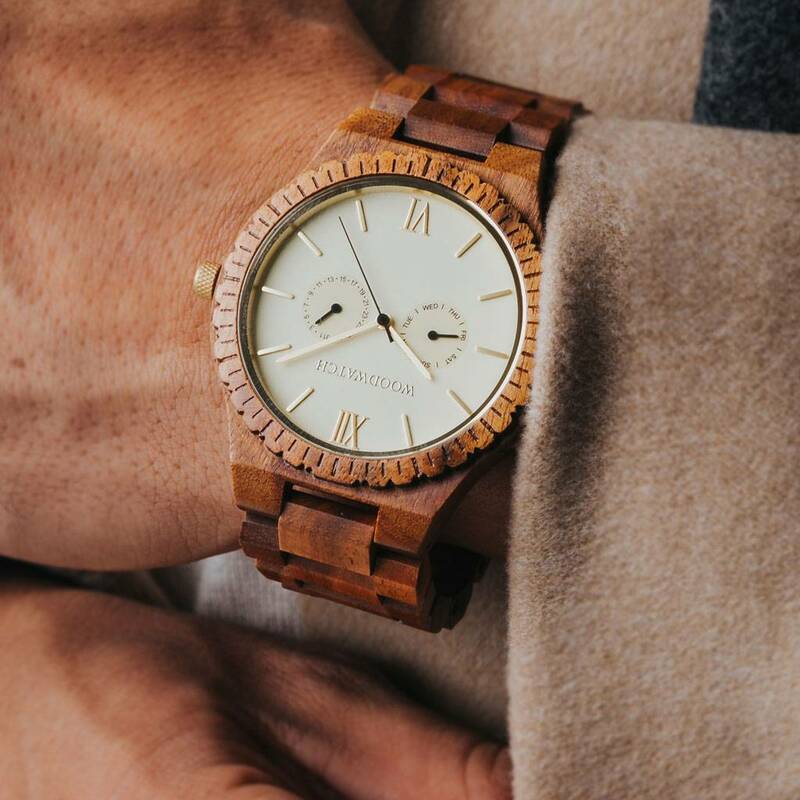 At the heart of the new timepieces comes an all new multi-function movement that includes two extra subdials featuring a week and month display. 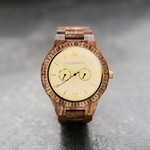 The GRAND Champagne Gold is made of unique and durable koa wood and consists of a yellow dial and golden metal details. Grand, Great and Impressive. 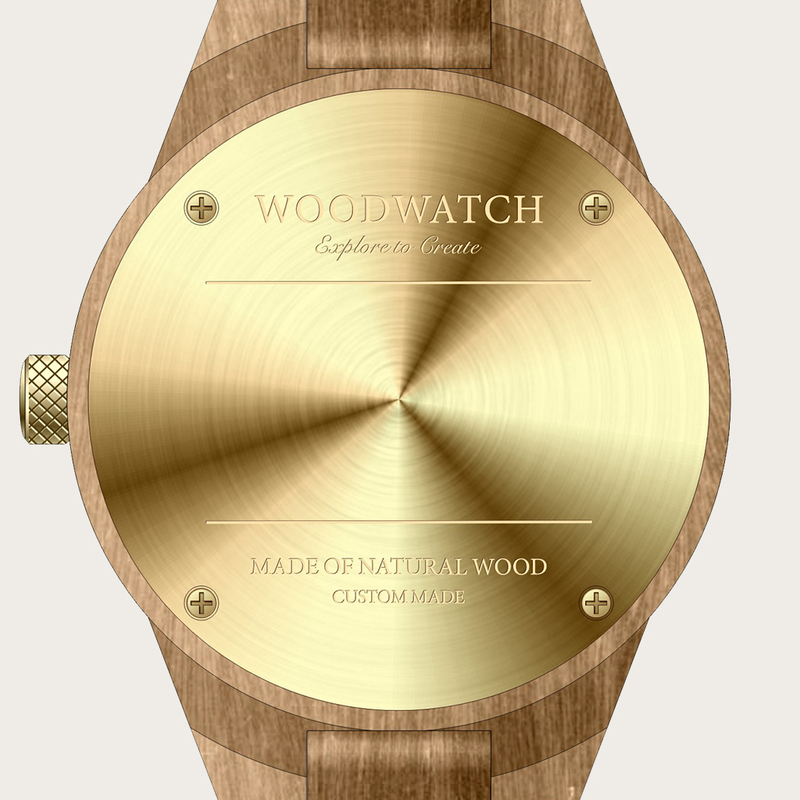 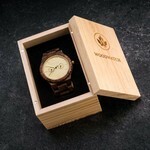 This premium designed watch combines unique new wood types with a luxurious stainless steel dial and backplate.